Prosumer’s Choice is proud to introduce this practical, multipurpose yet compact rotating holder to your home, kitchen or office. 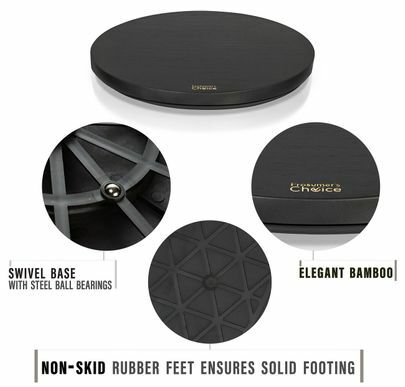 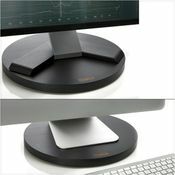 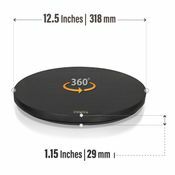 The 12.5-inch swivel stand is designed to support 150 pounds, and six nonskid and non-scratch rubber feet provide a confident grip for 360 degrees of unrestricted spin while protecting your surfaces from scratches. 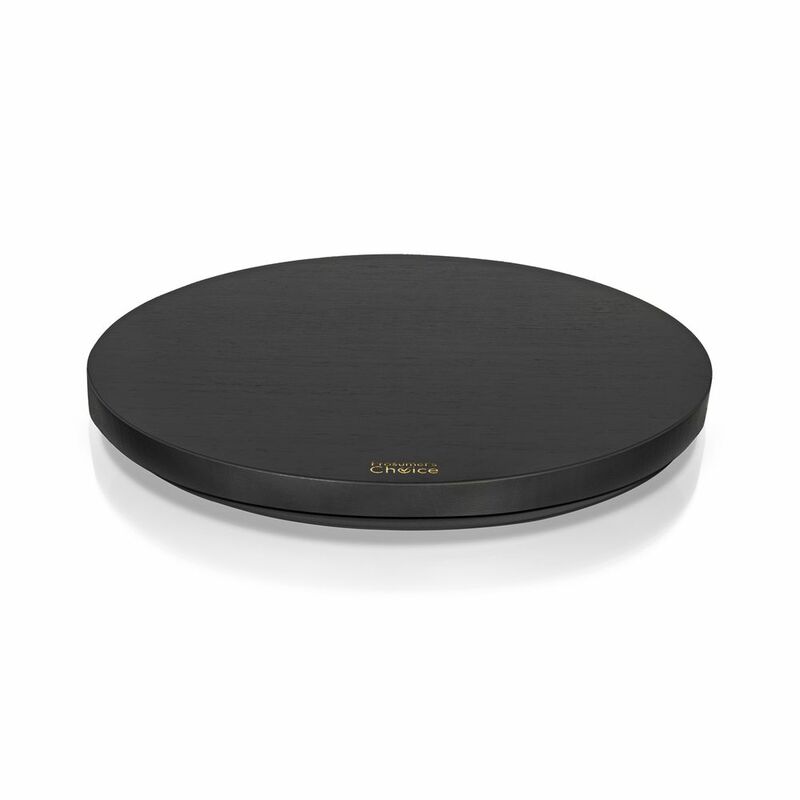 Engineered to work like a lazy susan turntable, you’ll enjoy 360 degrees of unrestricted rotation. Thanks to its 12 built-in internal steel ball bearings, you can effortlessly rotate your new accessory with a gentle nudge, useful when you need to adjust your monitor, get a better angle for a cake you’re decorating or that beautiful arts & crafts / sculpture hobby project you’re doing. Enrich your counterspace and utilize it for your computer monitors, flat screen TVs, speakers, kitchen supplies, mini fish tank, spice racks, salad bowl, spray booths, or even house plants. 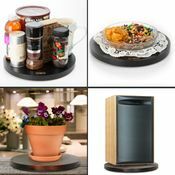 You'll love the low-profile design that occupies little space along with its all-natural black finish that complements any style of décor. That means you can pair your bamboo rotator with virtually any room style.